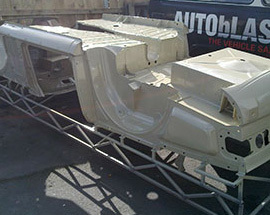 Autoblast specialises in the removal of underbody rust. Our blast booth has a two-post hoist in it so we can elevate your vehicle for complete, all over access. 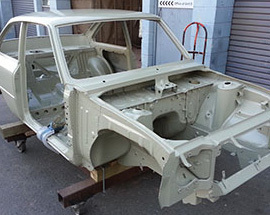 We remove the wheels and any chassis guards or plastic panels necessary, then we blast the affected areas back to reveal what’s called ‘clean white’ metal – a better surface preparation than was received at the factory. 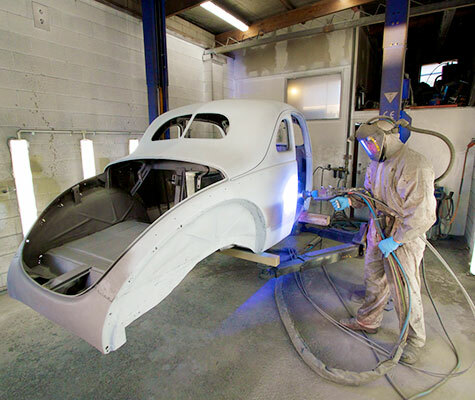 We then transfer the blasted vehicle from the blast booth into the paint booth where it’s all masked up ready for any of the following coating options: galvanising, epoxy coating and cavity waxing. 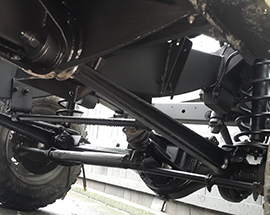 For the works there is no better coating solution in the world than to galvanise the underbody of your vehicle. In some cases galvanising may be excessive, but for vehicles that see beach time or are stored near the sea, or especially vehicles that have been imported from the UK or the northern parts of Japan, galvanising is the only way to be assured of chassis longevity. We recommend this treatment for all 4X4s used for towing boats or beach driving and all UK imports that have spent time on UK roads. Anywhere salt or lime is used on the roads it creates torture for a vehicle chassis and is just asking for expensive ongoing rust repairs. 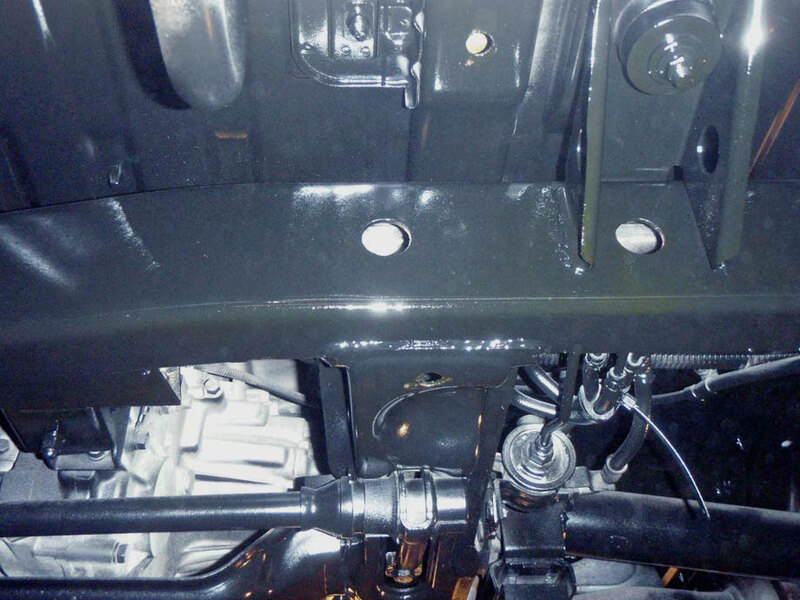 Our alternative coating solution is epoxy urethane. 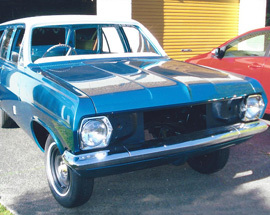 This is an extremely high quality 2K Marine grade urethane designed in New Zealand. 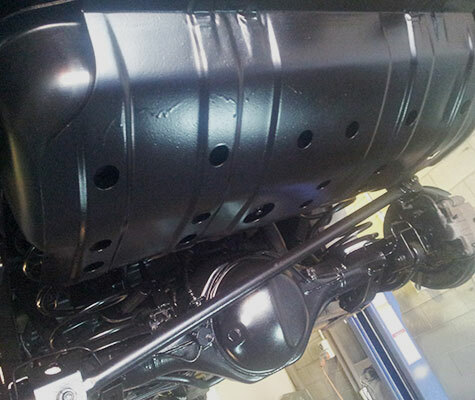 This coating is very hardwearing and even used on its own will perform even better than most factory coatings. 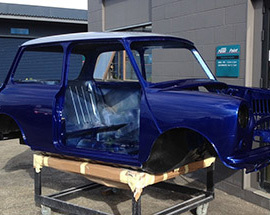 The urethane–while a cheaper option than galvanizing–is by no means a short cut, and we believe it to be the best undercoating solution available in New Zealand (other than galvanizing). Our final treatment is a Cavity Wax. This product can be sprayed inside chassis rails and box sections. It contains rust killers/converters and remains elastic repelling water and restricting rust growth and formation in hard to reach places. 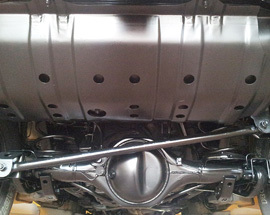 The product we use is German made and is in use by many vehicle manufacturers around the world. 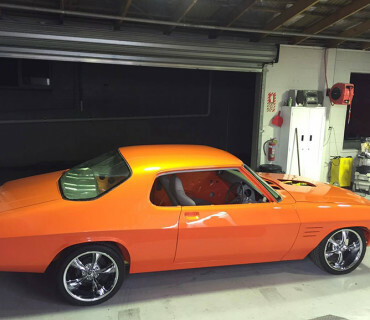 The cavity wax cost is quite small and provides great additional rust protection and prevention. 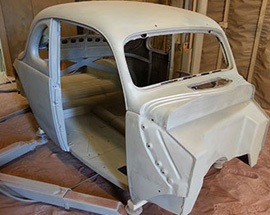 It will even inhibit the advance of existing rust. 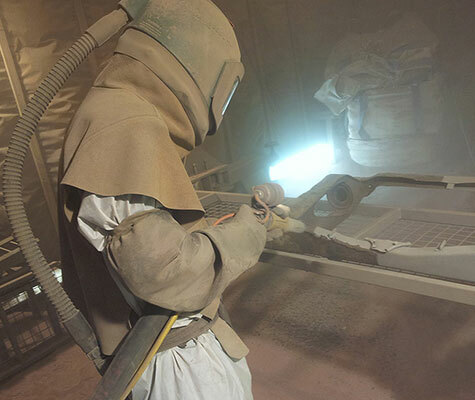 Call us for a quote and to discuss which coating option is best for your application. Don’t wait until its too late. Maintain your chassis now! Spend a little now and save a lot in the long run.